A perfect choice for vodka drinkers who appreciate quality and versatility. The refreshing, pure taste allows it to transform from an on-the-rocks drink to the soul of the most imaginable cocktails. 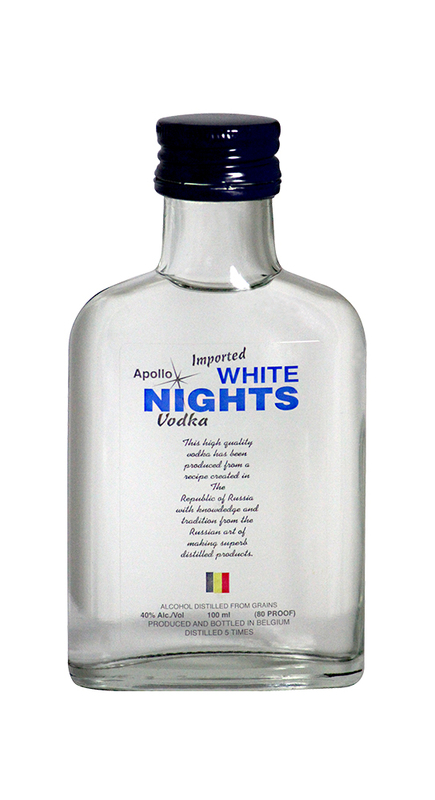 Apollo White Nights Vodka was founded in 1994. The idea was to create a smooth vodka with reasonable pricing to be used at everybody’s satisfaction. It is an excellent choice for bartenders. To be consumed pure and in cocktail mixes. It has been made according a recipe created in The Republic of Russia with knowledge and tradition from the Russian art of making superb distilled products.